« Rashes? Red Marks? Bite Marks? Love Marks? Sometimes it really gets pretty fed up with the country, life and stuffs after reading the newspaper. There are times that I feel like speaking out while hoping for a change, a change for a better Malaysia. I know a couple ways to get the message out there. which is not really a very good idea. 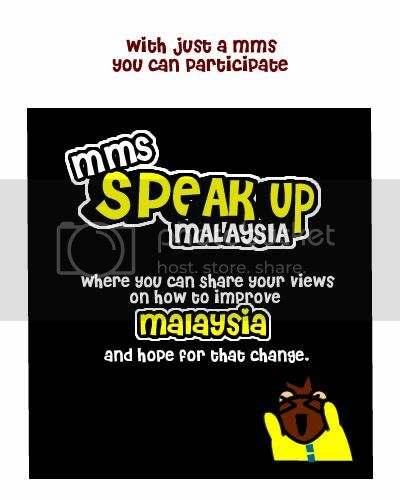 With just a MMS, you can voice up your thoughts on how to make Malaysia a better country through Nuffnang & DiGi Latest Contest, the MMS Speak up Malaysia Contest. 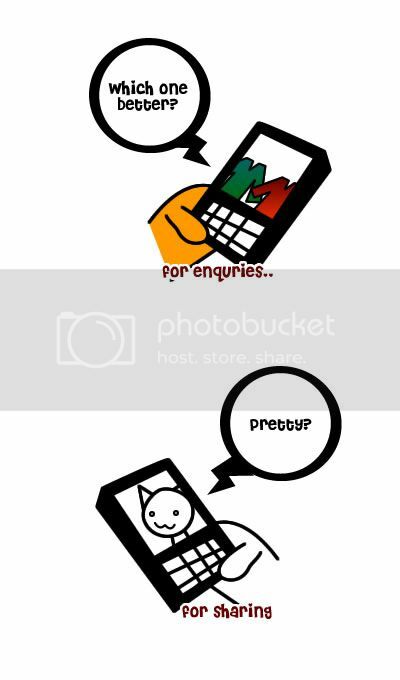 All you need is just snap a photo with your phone with caption and MMS to 016-6029 788 and get yourself heard. Once you MMS your image, your MMS message will be delivered and displayed on the micrositefor everyone to view at!! Yes!! Since it’s a contest, those with the most creative and interesting Speak out MMS with be rewarded with exciting prizes. Grand Prize – RM3000 CASH Consolation Prizes – iPod Shuffles x4 *Only eligible for Nuffnang bloggers who blog about it and on DiGi network Early Bird Specials Category A pair of GSC Movie Passes x100 *Only eligible for Nuffnang bloggers who blog about it, on any mobile network Public CategoryLG Cookie mobile touch phone x8 *Open to all DiGi users only So beside of getting your thoughts heard and you get rewarded for them, awesome right? and speak out my view with this MMS I snap below here.. 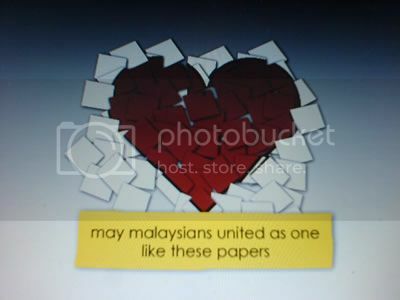 I do hope Malaysians will be more united. How about you? What changes do you hope to have in Malaysia? Do join the Contest and share your view.
. . . even Wafu is sharing his view too..
but I think he’s up to no good. Posted on June 25, 2009 by Jian Akiraceo. This entry was posted in Contest and tagged DiGi MMS Speak up contest. Bookmark the permalink. GOod contest ah? no rules and regulation? lol. wish I could mms anything! 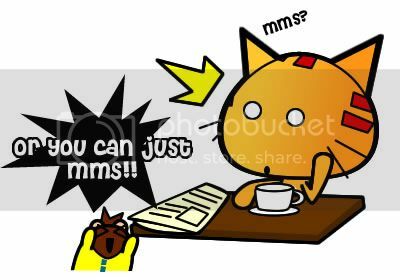 Just mms.. but there are steps on how to MMS and categories to participate in. omg your mms so nice! i shall look for an entry too! i want win those prizes! ^^ good luck! Hey, this is my first visit to your blog (through a link from LYN). Your entries are creatively written/illustrated. Hope to see more of your work! Do you believe this movement created by Digi will allow the voices of us Malaysians to be heard or will it be just another successful branding gimmick? Hmm not sure about that…I think its just a contest where you can just let out your dissatisfaction and win something in the other hand..
Not everyone can hear your voice I suppose, unless they either manage to read the post regarding it or visit the microsite for the MMSs. but there is another movement from DiGi which I think is good.. the ” I love to Save” fund where they try to raise RM150K for charity in a month. All we need to do is click the charity we wish to donate for and DiGi will pay RM5 for it. LOL, you can make something so mundane so interesting, like an introduction to a contest. Keep it up! Wao, it’s a creative MMS. Wish you all the best on the Contest. Good luck! I also wanna join but don’t know what to send. Simply snap a photo and send ah ? What to say, worry later Kena ISA, then Digi can help? Got a little confuse at the teasing people part. Haha. Anyway, +u! 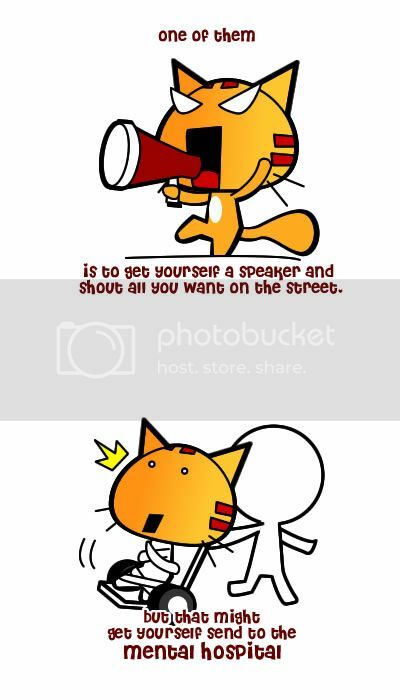 wa, so nice digi post..
haha I’m not really that creative..
gege u can do it! 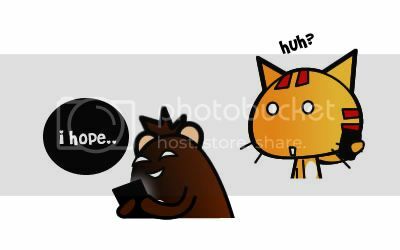 Lol.. you guys give face only..
i get fed up reading/listening/watching the news everyday i just read the title, the big fonts one..
You might win in the end..
hahaha yellow hamster, thats cute. 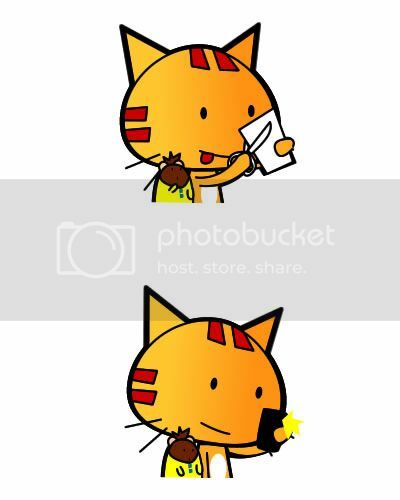 y not yellow miao? typo in your entry pic lol. so though its a good idea, somehow i don’t think it’ll win lol. depends on who the judges are i guess. 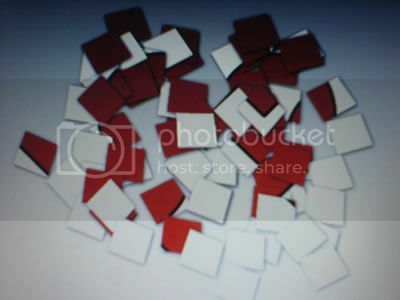 also i think it would have been better to make the heart out of square red blocks, like the white, instead of blocks already pre-cut from a heart shape. would be more realistic that way. but you still get the movie passes right? first come first serve? And thanks a lot for the correction.. I will take note on that :). Really appreciates it. Haha I don’t think it will win also XD. Just trying my luck. Hehehe..
Woahh that’s a good idea.. so it will be like a pixel heart eh? woah……. i love this post.. de hamster is so cute with yellow shirt. lol.. i admire ur creativity.. u sure can win de contest! Good luck! Good luck with the competition anyway. omg, the hamster with yellow tights. (ewwww). wa… your blog is so cute, with lots of pics. 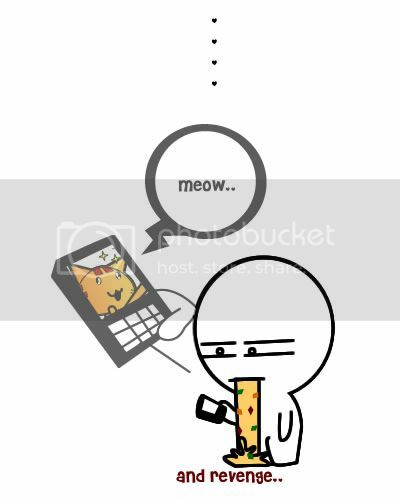 your draw all the cute cute pics? Wow… you’re really good at advertising stuff. ^___^ Sadly my phone is so lame & I can’t MMS but I hope you luck! I love your idea of the cut out papers being united like that. I love it. Personally I more or less have the same views as you only that I wish people didn’t judge solely base on race (like how they say if it’s a reckless driver it’s just somehow HAS to be indian for some reason and blah blah blah). 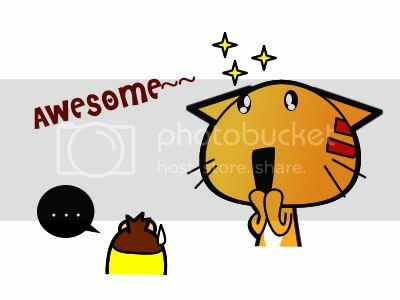 Hahaha i’m still new in advertising stuffs ler.. hope can do it better next time..
Lolx, i am a new reader for your blog! And about this MMS contest, my entry is left from your entry. Hahaha.. No wonder that picture look so familiar, it is yours!